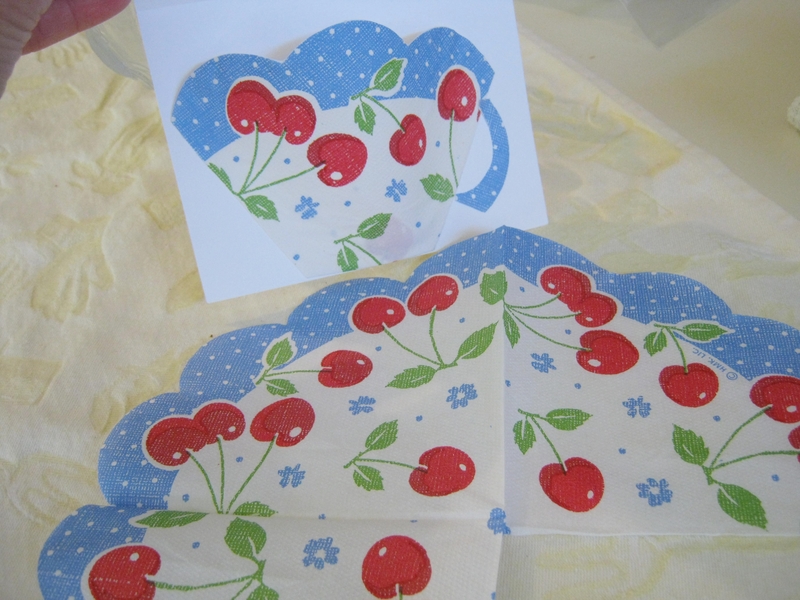 and cherry-cheery napkins I bought at a dollar store (aren’t they the sweetest? I knew I’d find something to use them for). 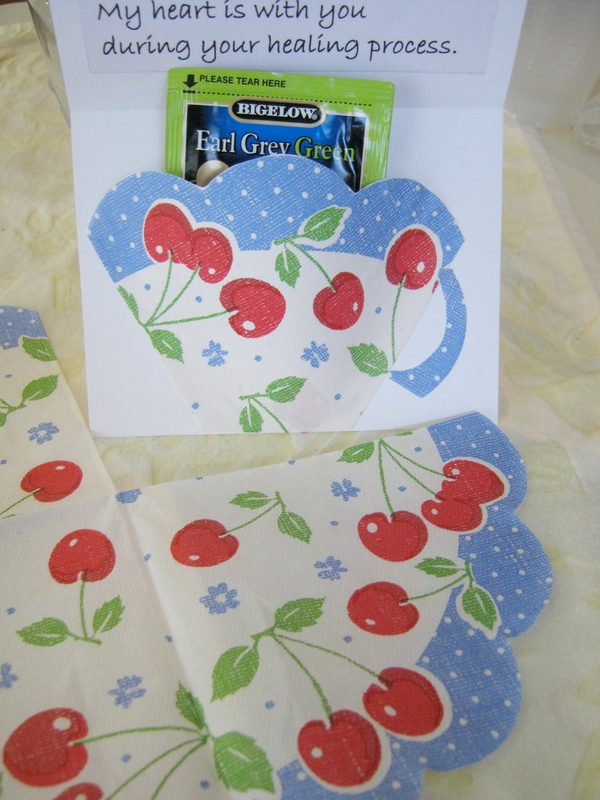 I cut out part of it for the teacup, and with the left over piece I cut out a little handle. Then I pasted the napkin cup onto some sturdier paper, and cut around the shape. 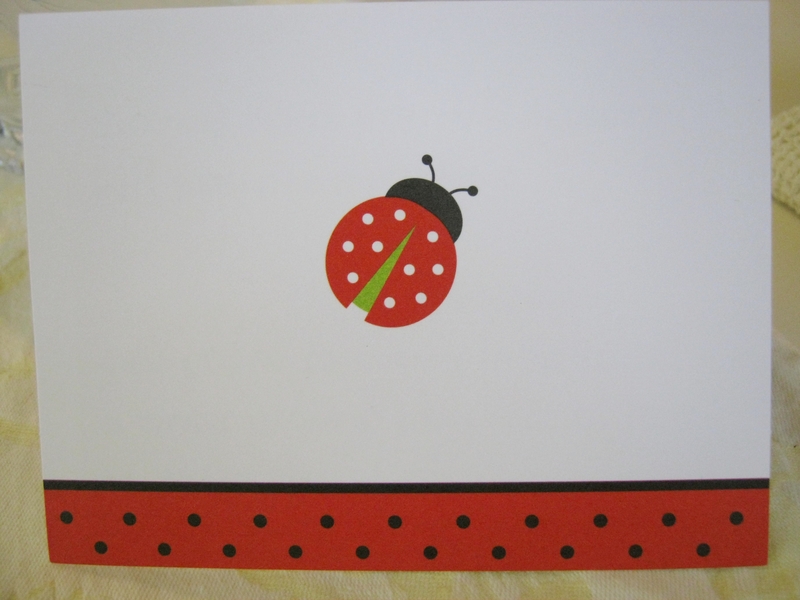 Afterward, I glued it onto the inside of the note card. 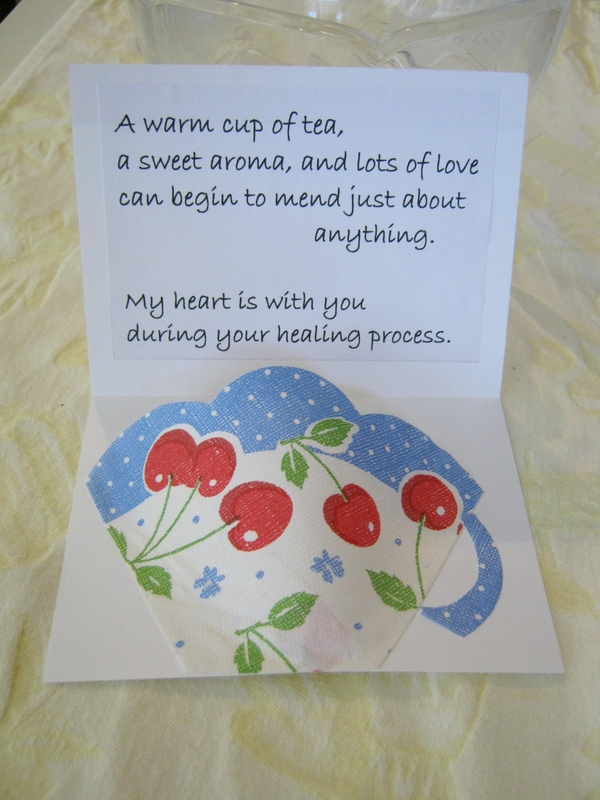 added a teabag (I really used a Green tea/Jasmine, but the Earl Grey looks better for the photo), put it in its envelope, and placed it in my dear neighbor/friend’s mailbox. She was wounded in an accident, and this is just a little way to let her know I’m here for her. Thank you for visiting Leisure Lane. It’s always a pleasure to see you, and to spend some time together. May you all be safe and healthy, and may the Lord bless you and keep you under His wings. Until next time, may happy days abound! 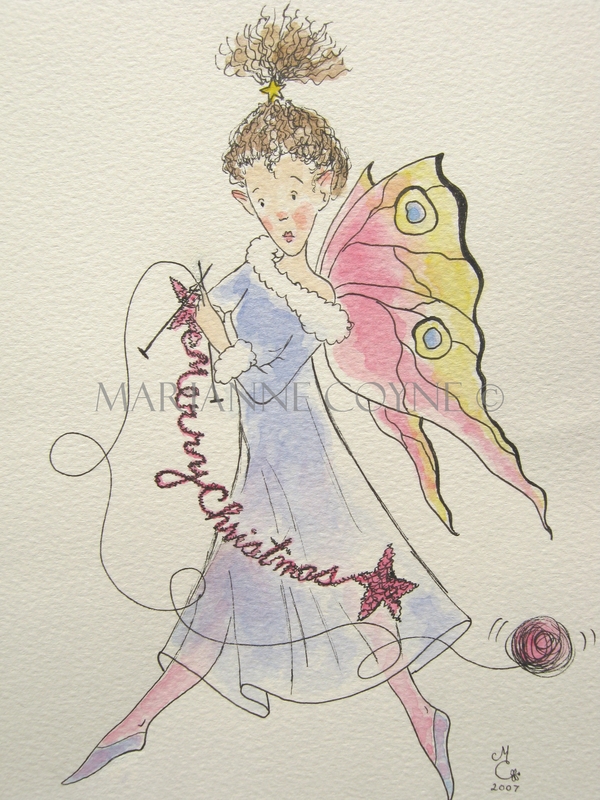 Note: The above card sentiment is copyright©2013 Marianne C9yne. All rights reserved.